The tree is up and the twinkle lights are hung! Christmas music is on 80% of the time in our home and Christmas shopping has begun! Last week, I shared my Gift Guide for Girls that you can see HERE. 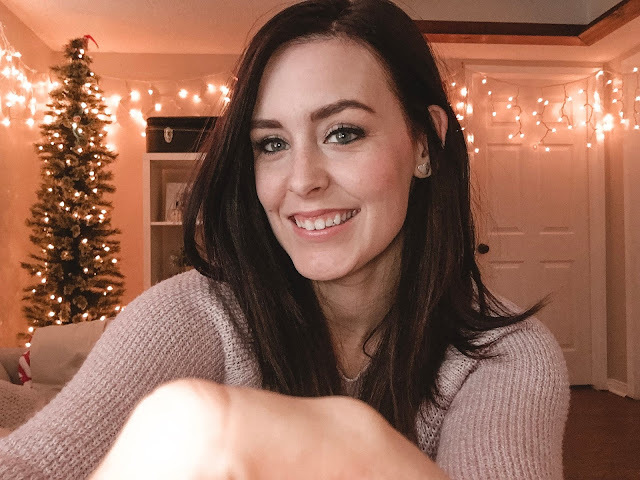 Today I'm sharing a gift guide geared more towards the non kid girls in your life: your sister, mom, aunt, bff, co worker etc! 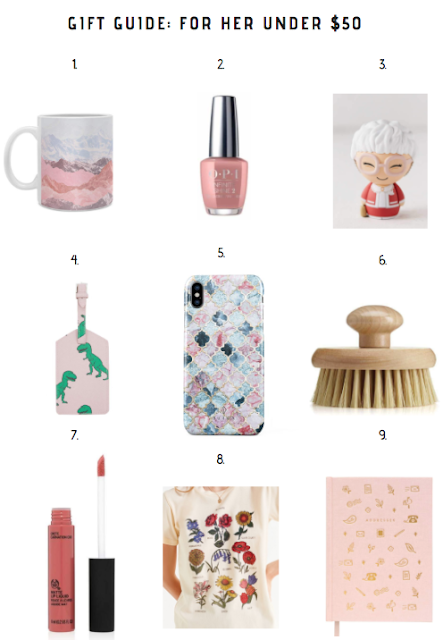 I've rounded up 9 Gift Ideas for HER and everything is UNDER $50! How beautiful is this dishwasher safe mug? Perfect for the coffee loving girl in your life. 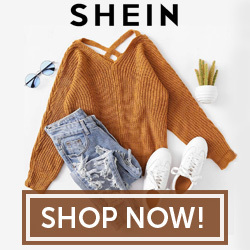 If you happen to be reading this blog post the day I posted it (11/28/2018) it's on sale as part of Macy's Cyber Monday until the end of the day for $11! For the beauty loving girl in your life, this Infinite Shine nail lacquer is the most gorgeous shade of pink. Part of OPI's lacquer system line that claims to need no touch ups all week long! I mean, have you ever met someone who doesn't love the Golden Girls? This figurine is perfect to make any desk happy. For the travel loving girl in your life. How fun is this dinosaur luggage tag?! Protect your phone from scratches and bumps with this gorgeous phone case inspired by Morocco. Made by Burga, they also have all your MacBook, iPhone & accessory needs. This exfoliating brush is a must have for every girl who wants soft skin. This would be perfect paired with a bath bomb and candle. Shop it this week to save 50%! This vegan, gluten & cruelty free lipstick comes in 12 shades. It is currently on sale for $3 - stock up while you can! This tee has been on my wish list for a while now, and I may just buy it for myself this Christmas. I'm a huge fan of Rifle Paper Co. and love that they are bringing back the charm of the little black book in this ever increasing digital world.